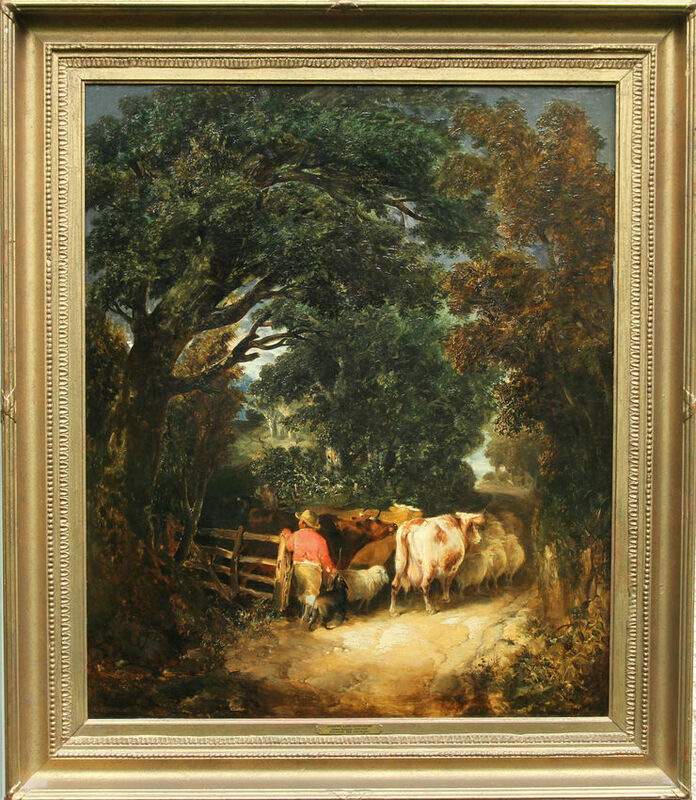 A fine oil on canvas by noted Victorian British listed artist James Bateman. 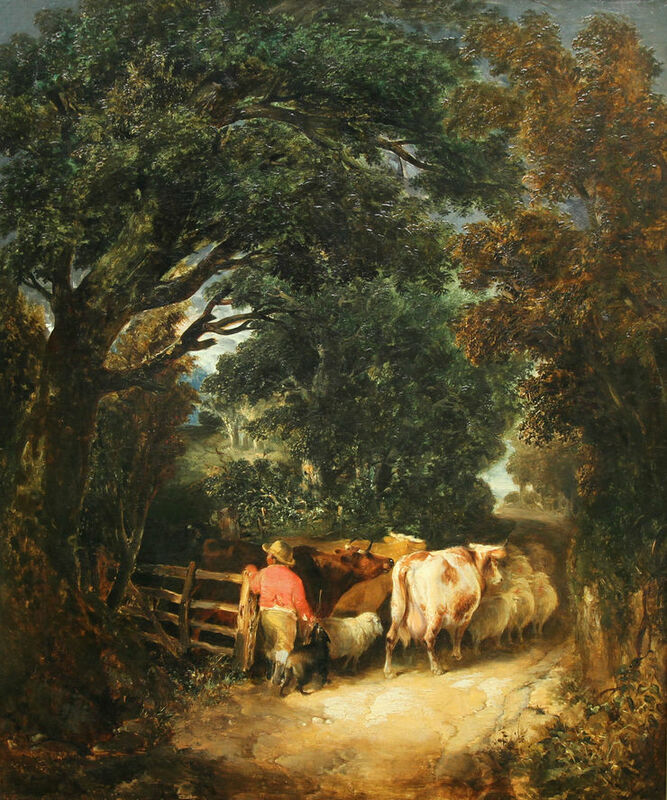 Painted in 1844, it is signed and dated lower right and was exhibited at The Royal Society of British Artists in 1845 no 380. It is a superb landscape pastoral with all the attributes of the great landscape painters such as Constable and earlier Gainsborough. The composition is just stunning with high lighting focal points in the Regency manner. Cambridge Fine Art 1983 sale details verso. Royal Society of British Artists 1845 Number 380. Framed in a fine gallery frame. 38 inches by 33 inches. In excellent condition. James Bateman (1815-1849) - London sporting painter of hunting, shooting and fishing subjects, self taught. He began as a clerk before turning to painting as a career. He was a friend of Sir Edwin Landseer and shared his studio. A talented artist he exhibited at the main London exhibitions.